Topps is proud and excited to announce a unique, compelling and groundbreaking new program – the Topps® Living Set. The Living Set will feature three new cards every week that can only be purchased on Topps.com. The cards aren’t tied to any specific season or era, but will live on year-after-year. So, when does the set end? It doesn’t – that’s what makes it a Living Set. Topps Living Set can be collected for years to come across multiple generations. The inspiration for the Topps Living Set came from 1953 Topps Baseball, a dynamic design that included hand-painted artwork. The 1953 Topps Baseball set included memorable cards as it showcased amazing artwork for its nearly 280 cards. Like the original ’53 set, the Living Set will also use hand-painted artwork for the players’ imagery. Popular sports artist Mayumi Seto, who has created fantastic sketches for Topps, hand-painted the portraits. 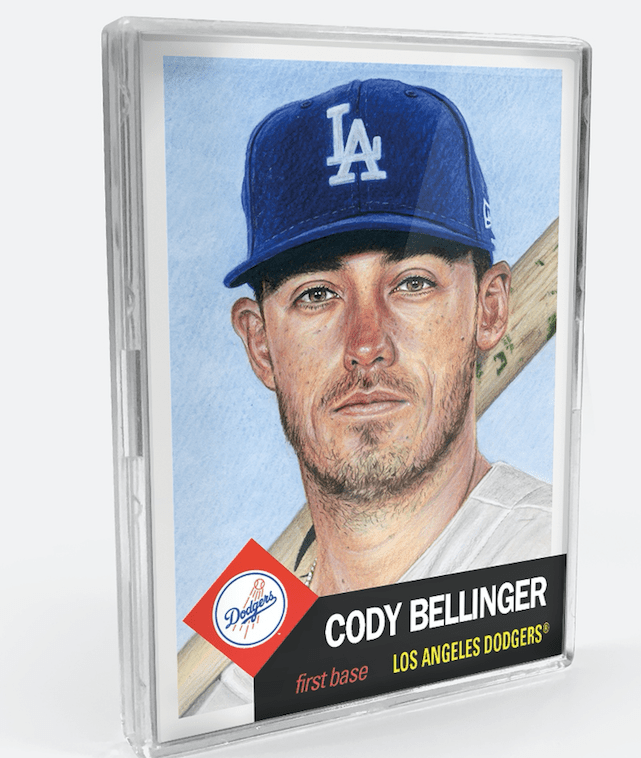 As part of the Living Set program, Topps will issue one card of each player unless that player changes teams. Three new players will be offered every week and will only be available for just one week. Up next on my want list? 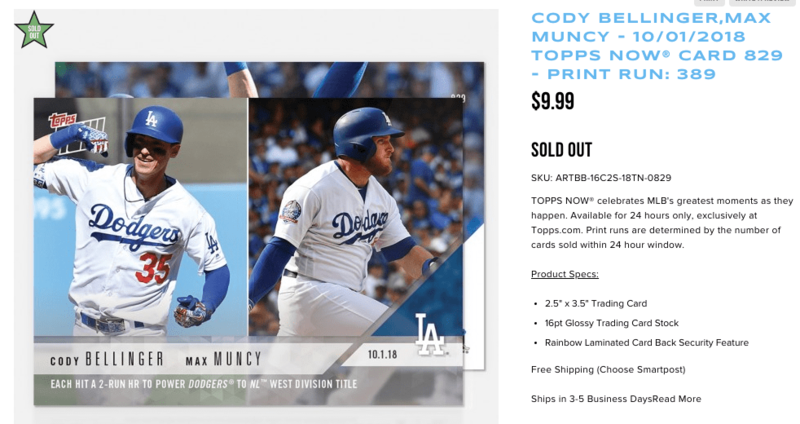 The Topps Now Cody Bellinger/Max Muncy Home Run Card from Game 163. I had this thing ordered but it wouldn’t accept my PayPal or credit card. There are just 389 of these in existence, and I’m on the hunt for one on Ebay. Game 163 is not one I ever want to forget in Dodgers lore. It was one of my top five baseball games of all-time.